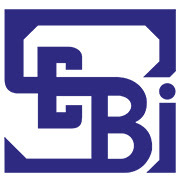 Capital markets regulator SEBI allowed bank stock brokers to have a greater exposure in the currency derivatives market, as compared to the limits permitted for the non-bank stock brokers. The gross open position limit for all brokers currently stands at up to 15 per cent of the total open interest or $100 million, whichever is higher. "However, for bank stock brokers, as authorized by RBI, the gross open position across all contracts shall not exceed 15 per cent of the total open interest or $1 billion, whichever is higher," SEBI said in a circular.